State of Decay is an ambitious zombie-survival-fantasy game, currently available for Xbox 360 and PC. We’ve all sat around with friends, debating the best ways to survive the zombie apocalypse. Well, the time for speculation is over; State of Decay will let you put your personal survival plan to the test. What if society came screeching to a halt? What if all our rules and laws no longer mattered? 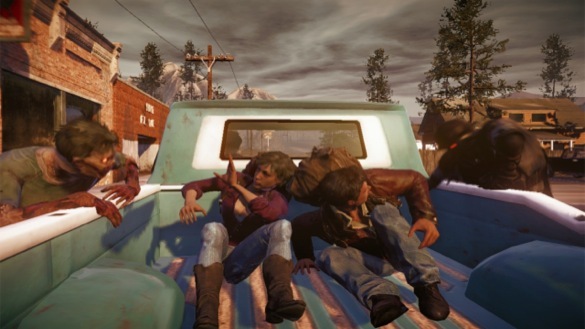 State of Decay brings these questions to life in a very real way. It’s not just about combat; it’s about doing what you must do to stay alive. Food, water, shelter, and ammo — you’ll need them all. 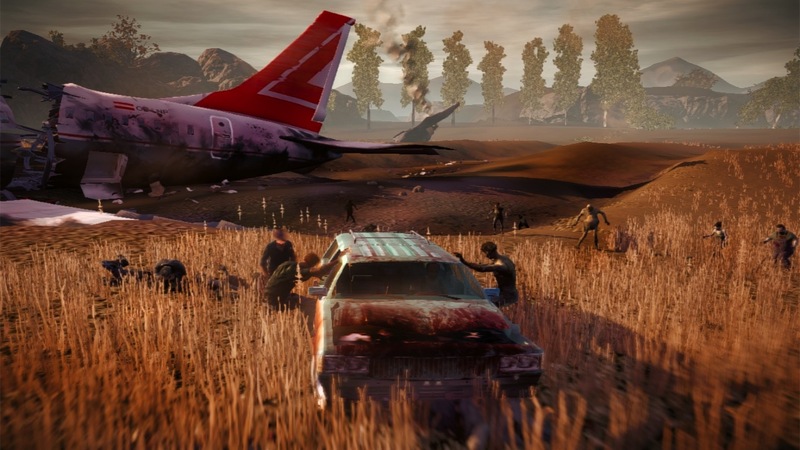 Taking you beyond the initial panic, and beyond the first weeks of the crisis, State of Decay is the embodiment of the “What if?” zombie apocalypse scenario. Move through the world like a zombie-slaying badass. Dive through windows, jump on cars, and take it to the living dead with baseball bats. Hop in a truck and mow down some undead pedestrians. Break into the local police station and clear out their arsenal or walk into the local grocery store to stock up on your favorite junk food. The world is your oyster…a shiny oyster that happens to be filled with zombies. 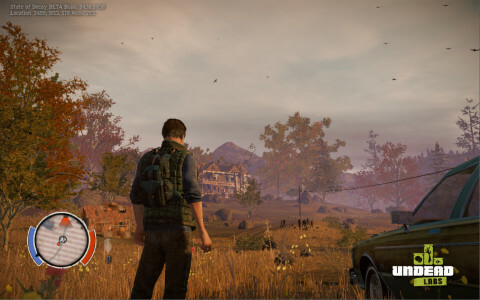 State of Decay is an open sandbox world that develops in real-time, dynamically generating content based on your actions, the choices you make, and the ever-increasing zombie threat. Decide where you’d like to set up a fortified safe haven for you and other survivors you’ve rescued, then form raiding parties to gather resources and create supply chains. Use the materials you’ve gathered to develop your community as you see fit, but be careful — resources will deplete as you pillage areas, and zombies are attracted to noise and activity. Take up the offensive by assaulting hordes before they reach your settlement, or focus on improving your defenses against the massed zombie attacks. Every choice and every action matter in this fully simulated, evolving world. See more screenshots, concept art, and gameplay trailers in the State of Decay gallery. 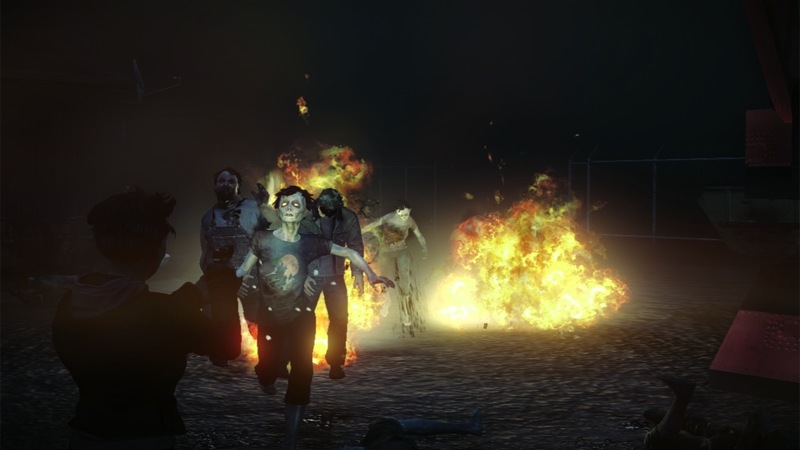 If you’re into the nuts and bolts of game design, you won’t want to miss this article about how your survivors’ skills and personalities develop and change over the course of a game. You’ll also enjoy the community Q&A that followed. In the form of a journal left by the original survivors, Phinney shares a massive amount of information about game mechanics, systems, survivor communities, and strategies for living a long life after the apocalypse. 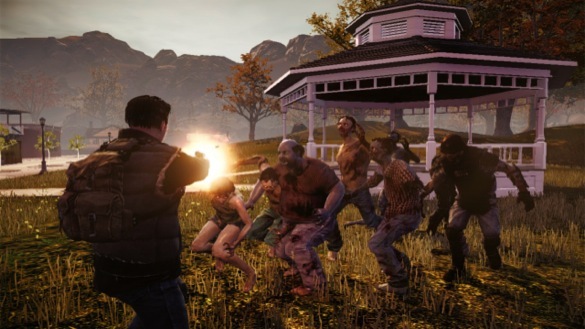 Foge gave us the lowdown on the various tactics you can expect to use in State of Decay. As always, the followup Q&A (featuring community questions and concerns) sheds even more light on the subject. Phinney talked community customization, character development, and more in this design article. Don’t miss the followup Q&A. The world, after the zombie apocalypse. Phinney shared details about the design of State of Decay, and gave his thoughts on what you should expect from our game. Check out this article from Jeff to learn more about our publisher, why we chose Xbox 360 as our platform, and more.